Erratic and inaccurate online customer reviews can cost business owners sales and consumer trust. Nine out of every 10 people research purchase decisions online. So-called “user review” websites invite anyone to comment. Those comments can be placed by competitors, disgruntled employees and those just wanting to do harm. Negative reviews, unfounded or not, are damaging. Importantly, the ratings we publish are independent of the biased reviews – both good and bad – that undermine consumer trust. Award winners have proven that they consistently deliver exceptional service and customer experiences. The Spectrum Award is research-driven and only given to companies earning our highest ratings. Rely on awards, not reviews. Consumers trust credible awards. Credible, independent, third-party awards create a comfort zone for consumers. 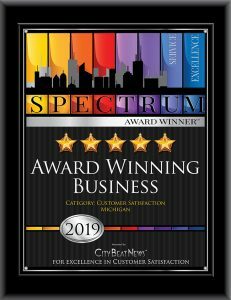 With the Spectrum Award, business owners have the opportunity to promote their business by sharing the news of a coveted, credible, independent, third-party “stamp of approval.” Because CBN bases its award upon broad, balanced and researched customer satisfaction criteria, and delivers the result as a single uncomplicated number for the year, the Spectrum Award voices the endorsement of consumers in an easy to understand form of value to prospective customers. 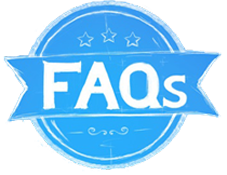 Consumers are invited to verify a business’s independent rating via our publicly available and transparent database on the CBN website. ARE YOU A CONSUMER SEEKING TO VERIFY A RATING? Click here to search. Winning businesses have the opportunity to provide additional valuable information about themselves to assist potential customers through their publicly available award page on our website.